Sowing seeds indoors allows tender plants to be started off earlier in the season. 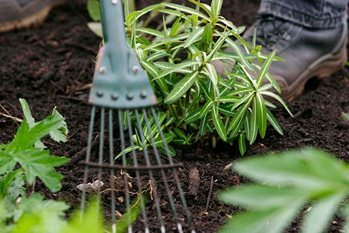 When they have grown into young plants, they can be planted outside in the garden or vegetable plot once the weather is warm enough. Sowing seed indoors. Credit: Neil Hepworth/RHS The Garden. Many vegetables, including tomatoes and runner beans, can be started off indoors. Some, like celeriac, need a long growing season to bulk up, so are best started off indoors rather than direct outdoor sowing. See RHS Grow Your Own for advice on growing specific vegetable crops. Annual bedding plants, such as morning glory (Ipomoea), sweet pea (Lathyrus odoratus), marigolds (Calendula and Tagetes species) and sunflowers (Helianthus cultivars) can be started off indoors to create flower displays for the summer. Some tender perennials, such as cannas, begonias and Diascia can also be sown from seed indoors, but generally take two years to reach flowering size. Perennials live indefinitely, so a slow start pays off in the long run! If you have a heated greenhouse or enough space and light in the house, you can sow some things indoors as early as January (e.g. radish, chicory and sweet peas). Otherwise, most crops and flowers are started off indoors in February or March, for planting out in May or June when the risk of frost has passed. Damping off (rotting) of young seedlings can be a problem, especially for the novice gardener or where the seeds have been too wet. As plants develop, they may show signs of stress if short of water or fertiliser. Dull foliage may indicate drought stress and pale lower leaves may suggest a lack of feed.